These selected pieces from my Constellation series consists of three simple materials that produce the portraits: a wooden panel painted a solid white, thousands of small galvanized nails, and a single unbroken sewing thread. Here I use seven colored threads instead of one single black thread. Almost everyone can remember in grade school art class placing a sheet of paper over the face of a coin or some other textured object and rubbing it with a crayon. 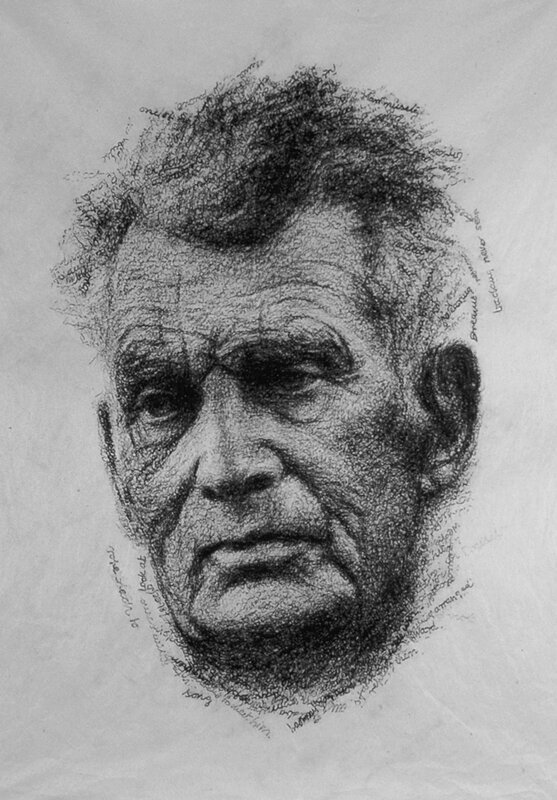 I employed this same method - known as frottage - to create the following portraits. 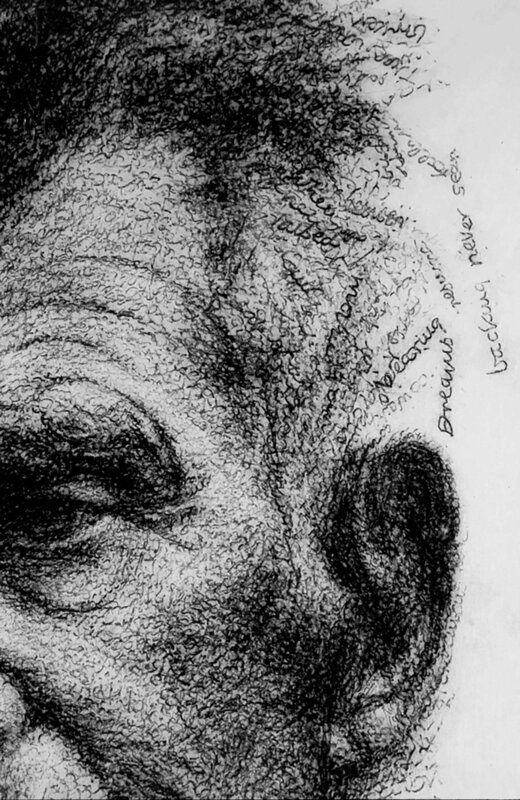 For Beckett’s likeness, I had embossed plates made of selected passages from his own handwritten notebooks. For the other subjects, I used their own personal (and expired!) credit cards. Sometimes there is something beautiful about things falling apart. Undoing one thing while simultaneously creating another. Here I’ve taken fabric and pulled out bits and pieces of the lighter color thread to create the images. 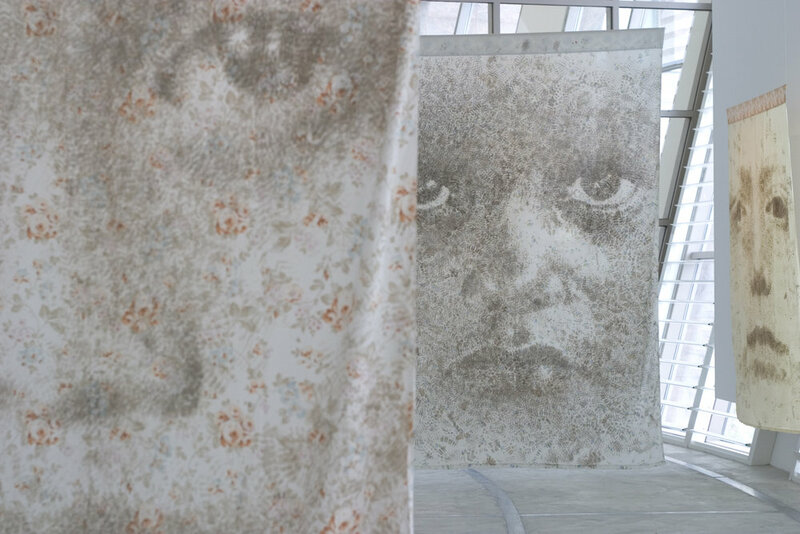 For the work entitled Someone Else's Mess, I used the prints from military boots to create eight large portraits of children's faces on bed linens.